Brushed motor is the most widely used motor because it is easy to use. Just supply the two terminals with DC power, the motor will start rotating! 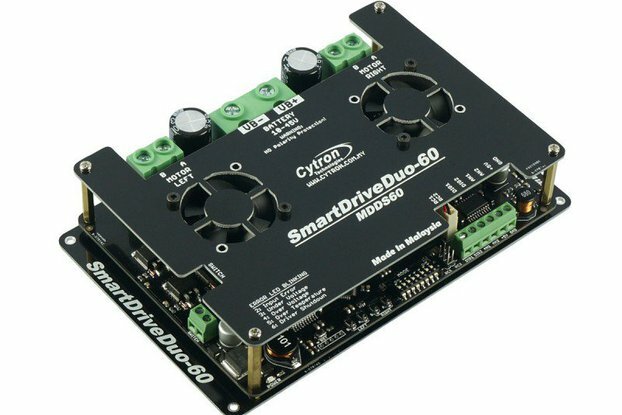 If you want to control it's speed and direction using a controller, usually you will use a L298N Motor Driver. But if you want an easy and beginner friendly motor driver, you are at the right page! 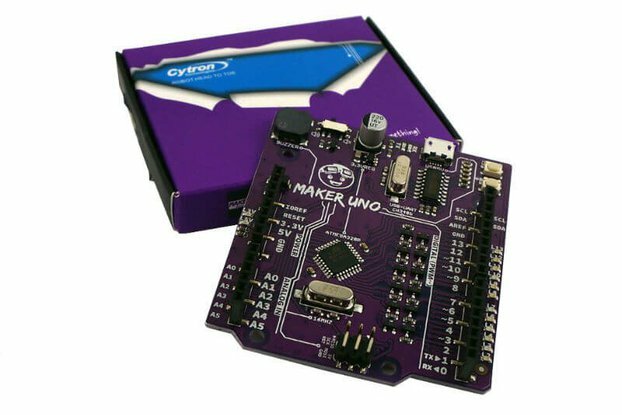 Maker Drive is designed for simplicity and with the beginner in mind! 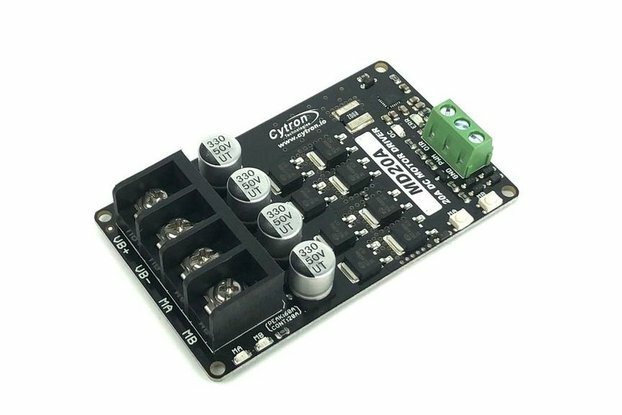 4 Test Buttons (2 for each channel) - Easily test the motor or your mechanism without any controller or coding. Maker Drive comes with two manual test buttons for each channel. Pressing one of the buttons will drive the output full speed in a direction (if there is motor connected) on respective channel. While another button will drive the output in another direction. 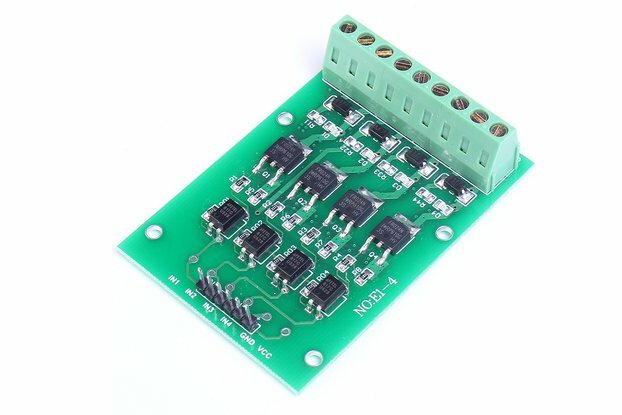 These buttons are useful to test the motor direction, connection and operation; even without controller. You will love these buttons, believe me! You can also use these buttons as manual activation button too. No programming is needed to use these buttons. 4 Indicator LEDs (2 for each channel) - Easily test your coding and wire connections. With these indicator LEDs, you can check output voltage direction even without connecting to your motor. And combining with the Manual Test Buttons, you can test the Maker Drive easily even without controller and motor connected. You can also easily identify where the error occur for easy troubleshooting. Of course no programming is needed too. These LEDs help in testing and troubleshooting. 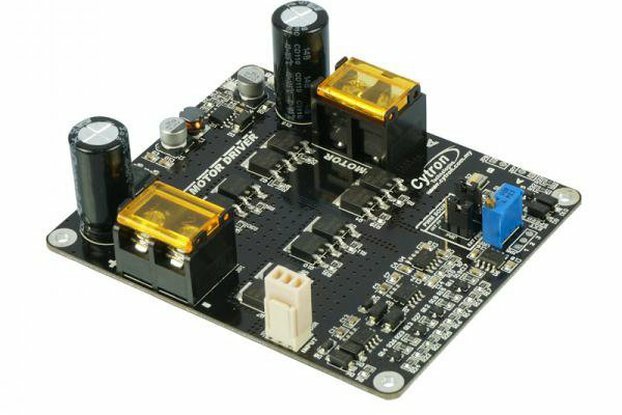 Buck-boost regulator to produce 5V output from input voltage as low as 2.5V- Power your 5V controller with 2 AA batteries. 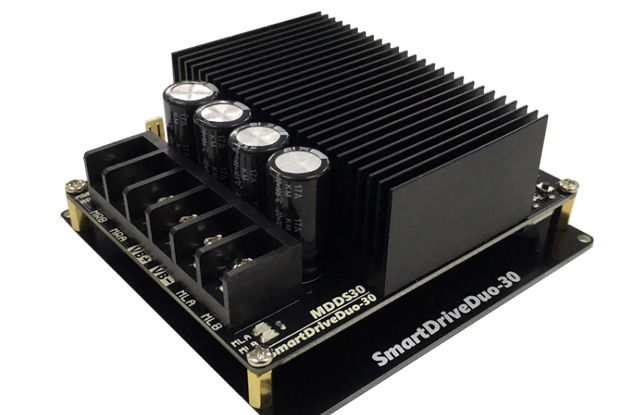 Maker Drive can produce output of 5V with input voltage range, from 2.5V up to 9.5V. 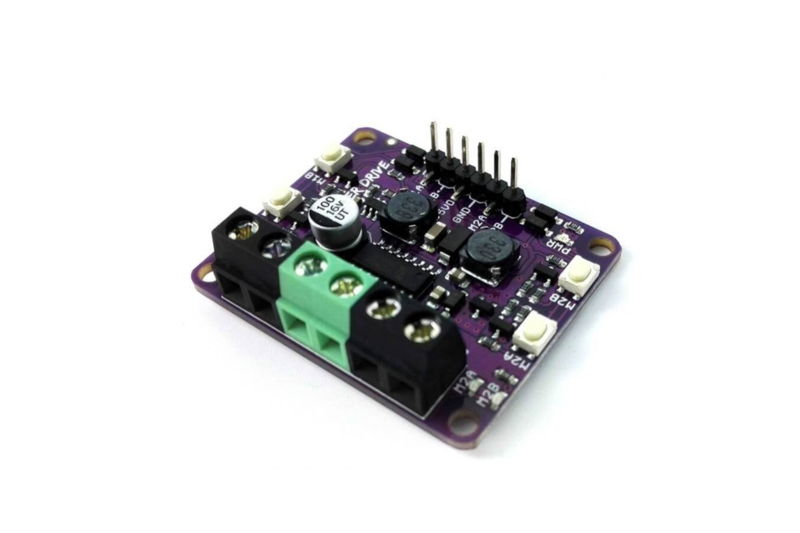 This 5V output can supply 200mA to external circuit such as controller (Arduino), saving the trouble to get another another power source for your controller. Now your project can be powered with a single power source. 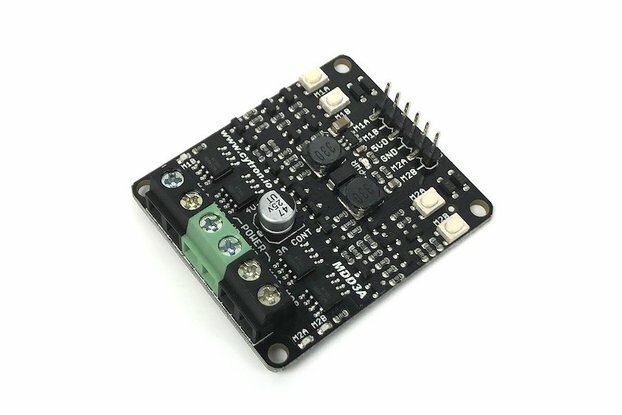 And with the wide input voltage range, you can power Maker Drive with two AA or AAA battery (1.5V x 2 = 3V) or single cell Li-ion or Lipo battery that has rated voltage of 3.7V. That is awesome! Regenerative Braking Control - In some cases, it is called Regen braking and it provides better control over motor speed. Most application perform better in Regen braking for example line following as the controller can control the speed more accurately. Another method is coast stop which allow the motor to slow down or stop using the inertia. 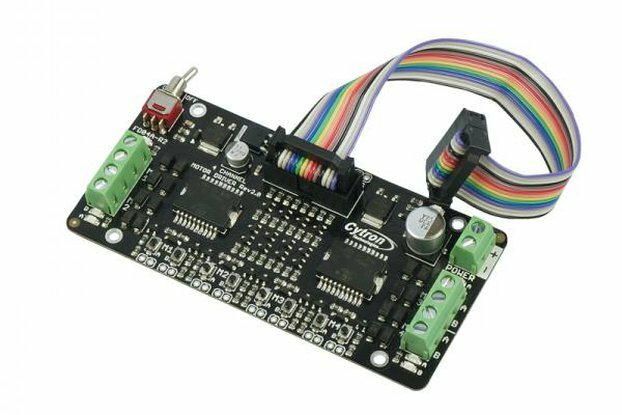 Support Stepper Motor - This is additional bonus feature! 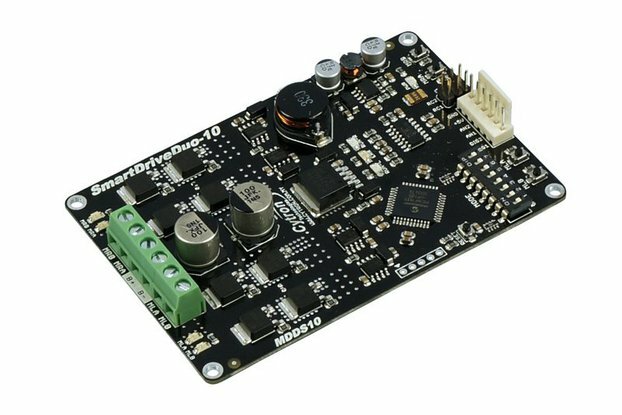 Maker Drive is capable of driving stepper motor. 5V Output (200mA) to power the controller. 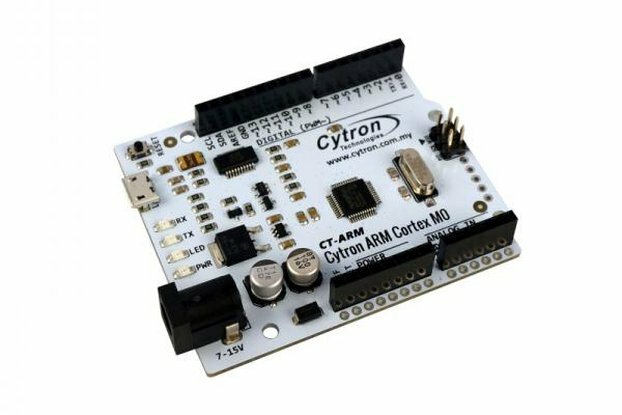 Inputs compatible with 1.8V, 3.3V and 5V logic (Arduino, Raspberry Pi, etc).